Starting a business means navigating the myriad rules and regulations imposed by the government. Some home business owners fall into the trap of ignoring business regulations thinking that their business, being a micro enterprise, may pass under the government’s radar screen. While avoiding regulatory details will not necessarily send you to jail, it could be a hindrance in the growth of your business. But a greater number of entrepreneurs simply do not know how to start the process of legitimizing their business. They don’t know what requirements to comply with, where to go, and how difficult or easy the process is. In fact, the question of how to go about making sure that the business is legal is one of the most common queries we receive from our readers. Businesses, even the smallest home-based operations, are required to register with either their city or county. Check with your city or county office the procedures in filing for business registration. Some cities make it easy for entrepreneurs to register their businesses, while others have lengthier requirements. Business registration in Fairfax County in Virginia, for example, is fast, simple and takes only about 15 minutes. In Albuquerque, New Mexico, business registration costs $35 and is filed with the City Treasury. This city requires applicants to bring their state gross receipts tax number and the City Health Environmental Health department clearance, if applicable. British Columbia in Canada has made it simple to register businesses with their One Stop Business Registration site at http://www.onestopbc.ca where start-up businesses can complete up to nine government forms with one entry. Note that sole proprietorships generally do not have to file any special forms or pay hefty fees. Declaring the business to be a sole proprietorship while filing the application is good enough. Visit the PowerHomeBiz.com State-By-State Guide to Starting a Business to check the requirements for business registration in your state. How do I get a license for my business? 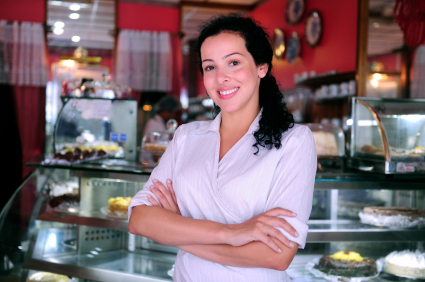 For some businesses to operate legally, you need to get a business license before you open the business. Particularly if you are selling tangible personal property or taxable service, you are required to file for a business license to ensure the collection and remittance of taxes. Even sole proprietorships or general partnerships, while requiring no legal entry formality, need to comply with state and local licensing and taxation requirements. Some businesses, such as a food service business, liquor store, construction, wholesale or retail trader, etc., are almost always required to get a license before they can start their operations. Even a business that operates pin ball machines or billiard tables need to secure the requisite license in some states. To know the type of license required for your business, check with the city office (if your business is located in a city) or the county office (if outside the city limits). In North Dakota, for example, some business licenses are issued by the Attorney General (e.g. amusement games, tobacco, etc.) while other licenses are issued by the Secretary of State. Some countries, states, cities or counties have Web sites that contains all the information an entrepreneur needs in terms of starting a business in that particular area. Visit the PowerHomeBiz.com State-By-State Guide to Starting a Business to check the requirements for business licenses and permits in your state. A fictitious business name is the name of your business, if different from your own. If you are operating the business as XYZ Desktop Publishing, for example, you are required to register the fictitious or assumed business name at your city or county clerk’s office. Registering your fictitious business name is important for a number of reasons. Banks look for proof that you have properly registered the name when opening a business account. An even more important consideration is that you won’t be able to enforce any contract that you sign under an unregistered name. An unregistered business name also leaves that name open for use by other businesses, even your competitors, which may jeopardize your business. Some states require that the fictitious business name be registered with the Secretary of State or other state agency. Procedures vary, but the process is fairly easy. In most states, you’ll register it at the county level. Be sure to call your county clerk’s office to find out its procedures, requirements and fees. Filing fee ranges from $10 to $50. Los Angeles county, for example, requires that the fictitious name be announced in a newspaper publication ad and that the applicant submit proof of publication, resulting in a longer processing time of about three weeks. On the other hand, Fairfax County in Virginia checks your fictitious name when you register your business and completes the process in less than 30 minutes. Maryland requires businesses to call the Department of Assessments and Taxation to reserve a business entity name prior to submitting the appropriate organization documents or forms. Visit the PowerHomeBiz.com State-By-State Guide to Starting a Business to check the requirements for instructions on how to file for fictitious business name or DBA in your state. Do I need to get an Employer Identification Number? Generally, businesses need an Employer Identification Number (EIN) or federal tax identification number. The EIN is used to identify a business entity such as a corporation, LLC, or partnership. Sole proprietorships that need to pay federal excise of employment taxes are required to get an EIN. On the other hand, sole proprietors with no employees are not required to get an EIN, and can instead use their Social Security numbers. The Internal Revenue Service (IRS) web site at http://www.irs.ustreas.gov/businesses/small/article/0,,id=98350,00.html contains all the information you need about EIN and how to apply for an EIN electronically. Do I need to get a Sales Tax Number? A business that sells any tangible item is required to get a sales and use tax license. Sales and use tax that applies to the retail purchase, retail site, rental, storage, use or consumption of tangible personal property and certain services vary between states. Check with your state Comptroller office for the requirements and procedures in getting a sales tax number.